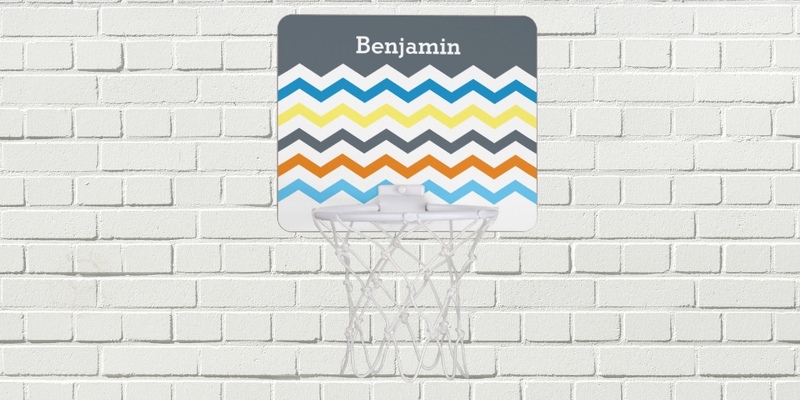 Personalized Basketball hoops, ping pong paddles, and Bicycle brand playing cards all make fun unique gifts. Choose from a variety of designs great for playrooms and kids rooms. Adorable mermaids, pirates, pandas, unicorns, and monsters are among the fun designs. Hoops – Practice your shooting game in the office or in the comfort of your dorm room with a custom mini basketball hoop! Featuring a glossy hardboard backboard, your designs, images, and text, will be printed in full color with vibrant, fade-resistant ink. Great as a gift for avid basketball fans! Plastic hoop measures 7.4″ x 9″ x 1″; 6″ and includes Velcro tabs for easy mounting. Bicycle Playing Cards – Personalize a set of the world’s most well-known and respected playing cards. Made with patented casino quality paper and a color printing process that is second to none, these cards are the mark of premium quality Bicycle has represented since 1885. Cards measure 2.5″ x 3.5″; poker size playing cards. Includes 52 playing cards, 2 Jokers per deck and comes with standard Bicycle cardboard case. Ping Pong Paddles – Serve a killer game with a custom printed ping pong paddle! Print your designs, images, or text in full color on one side or both sides of the paddle. Graphics will be printed on a layer of .12″ EVA closed cell padding to provide a forgiving hitting surface for accuracy. For one-sided customization, the second side features firm rubber for speed and spin. Great as a gift for ping pong junkies! Paddle strike pad is 6″ x 6.25″ in size with an ergonomic handle. For one-sided printing, the undecorated side features a 2-ply, ‘pips in’ rubber face.